What is the CoolWallet X? 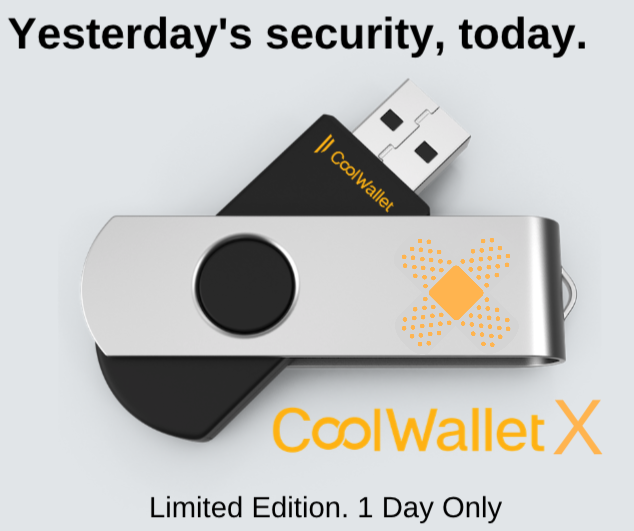 The CoolWallet X is the world’s first USB hardware wallet that connects safely to your desktop or laptop computer, has an X on it and is sold for one day only. It’s retro. It’s USB. It has all your favorite coins from 2013 and back. It has an X in the name, which is cool because the iPhone has one and it also means 10 and Bitcoin’s 10 this year. It’s just X-tra special. Why did we build the CoolWallet X? Sure, we created the world’s first bluetooth mobile hardware wallet, the CoolWallet S.
CoolWallet S: who needs a wallet in your wallet?? Sure, it has AES256 military-grade Bluetooth, a CC EAL5+ secure element, as well as a sophisticated app with Changelly integration. Suuure, the CoolWallet S is waterproof and its battery lasts 3 months and it looks like something out of Futurama. But… we always felt, maybe the future wasn’t ready for us. From the start, we knew maybe we were so far ahead, that we needed to look back. We needed an X-factor. That’s why we spent every spare moment after the Great Bitcoin Rush of 1987 on building and perfecting the CoolWallet X. Where can I use my CoolWallet X? The CoolWallet X is X-tremely versatile. You can use it anywhere you can carry your laptop. That means, any place that’s indoors, rain-proof and within an 8 hour walk of a power supply. 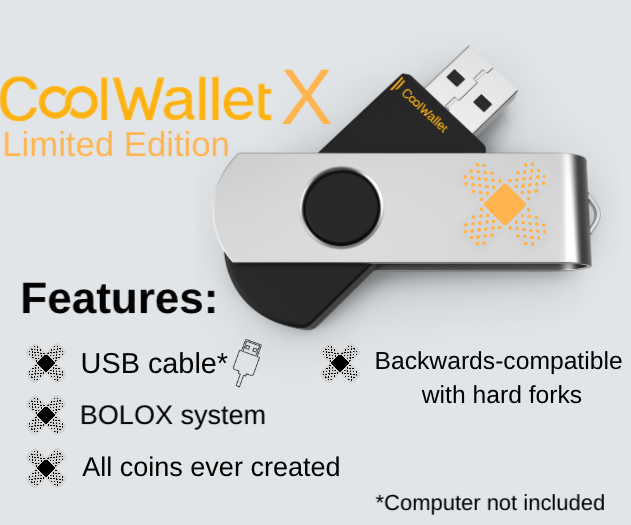 The CoolWallet X features the latest USB firmware updates and a proprietary operating system, BOLOX. Let’s talk BOLOX. As the name would suggest, Blocks Offering Lots Of Xpertise was created by famous British programmer Don Johnson and is fully backwards compatible with all cryptocurrencies. 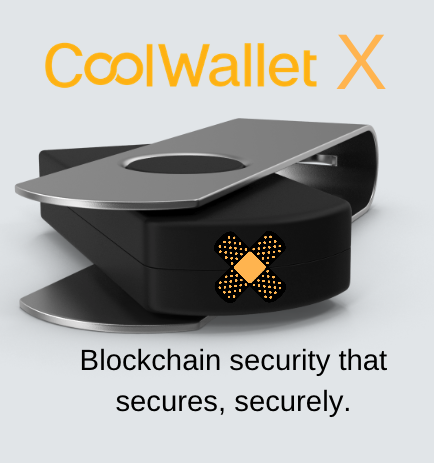 CoolWallet X uses a complex blend of biometric safety measures. Don’t worry, we’ve just got it. CoolWallet X users can store ANY cryptocurrency ever created. Yes you heard right. ALL CRYPTOCURRENCIES EVER. and of course, anything on deadcoins.com. The CoolWallet X allows you to go back in time and make the right decision, every time. It is retro-compatible with all hard forks, hacks and scams and allows you to trade your digital assets at December 2017 prices. Didn’t follow Charlie’s lead? 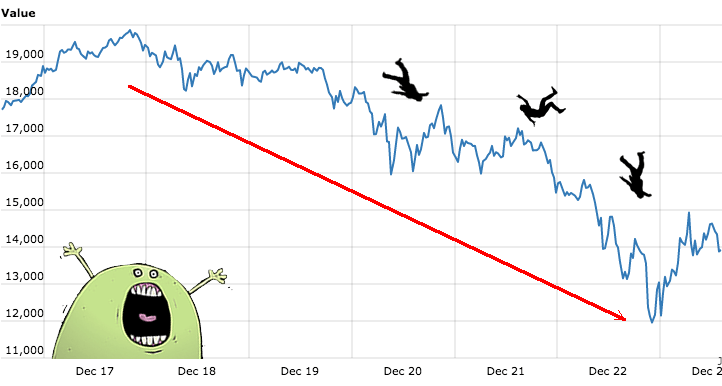 Missed that first Bitcoin/Bitcoin Cash fork? Bought XRP at $3.20 and not $0.032? Well now you can go back. Our dynamic new operating system also allows us to bring new coins onboard. The first coin is the FYRE token, the official currency for the Fyre 2 Festival set to happen in Malaysia later this year. It’s running on TRX-20. That’s right. The CoolWallet X is a once-off limited edition hardware wallet. We’re only releasing X-amount limited edition wallets on this special day, April 1st, 2019. 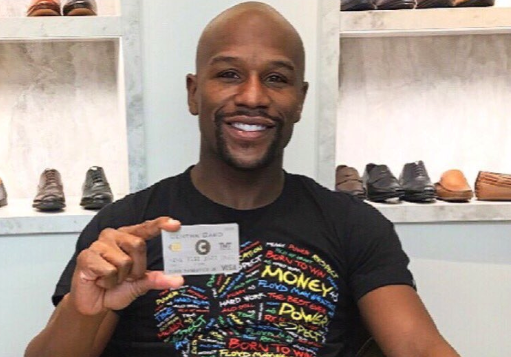 Make sure you and your crypto don’t get caught out, so get one today from our website coolwallet.io. Disclaimer: Please note- If you haven’t figured it out by now: this article is a parody and should not be taken seriously. The CoolWallet X is a fictional product that shouldn’t and doesn’t exit, but might be celebrated every April 1st. The safety of your cryptocurrency investment is no laughing matter though. 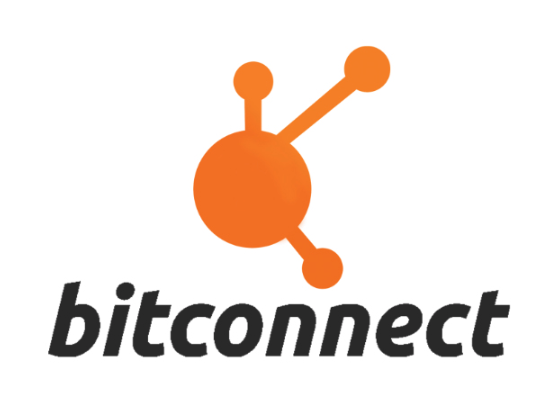 Get protected by storing your virtual currencies securely offline, but always within reach. To see why the CoolWallet S is the most secure Bluetooth hardware wallet for everyday use, visit our website, coolwallet.io.